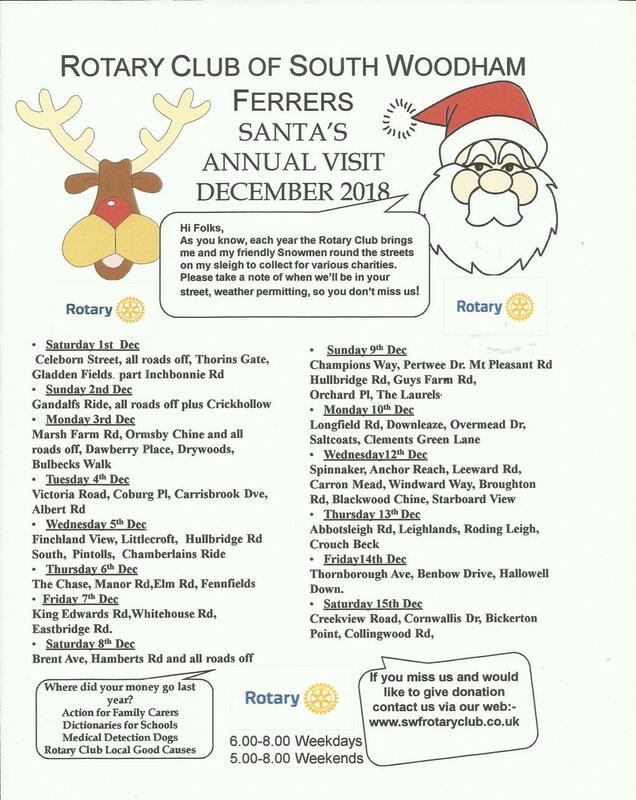 Once again it is this time of year that the Rotary Club of South Woodham Ferrers brings Santa to the streets of the town. Please see the routes as attached. In order to be able to bring the sleigh over all the routes we are pleased to announce that we have been able to gain help from other Organisations in the town. We thank them all as we are very grateful for their help. We will stop at the entrance of cul de sacs which are too small to be able turn the sleigh around.